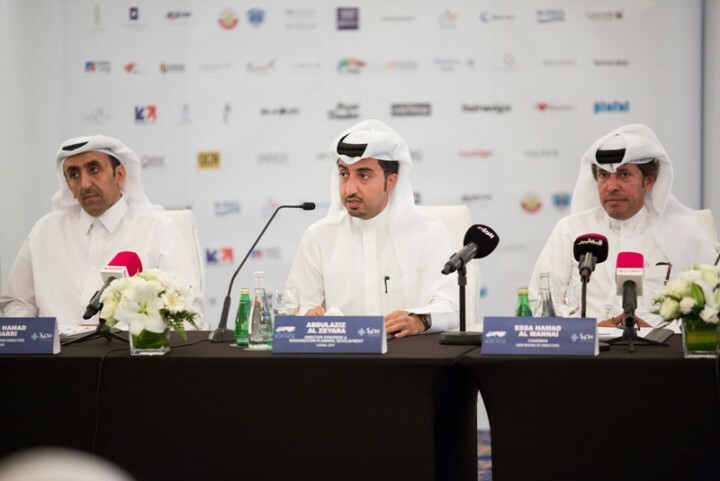 The third edition of the Qatar International Boat Show (QIBS) is to be held this November from 10-14, under the auspices of HE the Prime Minister and Interior Minister, Sheikh Abdullah bin Nasser bin Khalifa al-Thani at Mourjan Marinas in Lusail City. This years' show will showcase more than 120 brands and 85 boats both on land and in water. 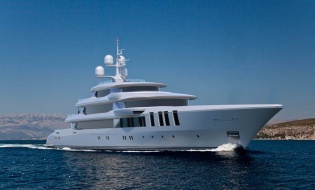 QIBS 2015 has already secured many international exhibitors such as Azimut, Sea Ray, Princess, Ferreti, Riva, Gulf Craft, Sunseeker, Prestige, Itama, Benetti, Sunreef, Silver Yachts, Heesen Yachts, Hullsquared, Lagoon, Amer Yachts, Cranchi, Everglades, Sealine, Fountaine-Pajot, Scarab, Riviera, Monto Marine, Regal, and more. In addition the Qatari maritime industry will showcase companies such as: NDSQ (Nakilat Damen Shipyards Qatar), Halul Boats, Balhambar Boats and Al Udeid Boats. “The outstanding growth seen by QIBS adds to Qatar’s rich nautical history and is made possible by countless governmental authorities. Qataris make up a significant proportion of all Gulf state buyers of yachts and maritime companies and investment opportunities are growing as a result. Ultimately, the mandate of QIBS is to play a pivotal role in promoting and fostering continued growth in the maritime industry in Qatar and throughout the region. ” said Essa Al Mannai, Chairman of QIBS Board of Directors. “Last year’s edition of QIBS was extremely successful from a business perspective with sales of more than 80 million Qatari riyals, and further prospective orders. The third edition will be no exception as we have expanded the shows’ international presence through promotions around the globe. We have every confidence that we will be able to create another show of the highest standard.’’ added Faysal Mikati, Founder and CEO of Snow Comms and conceptualizer of the Qatar International Boat Show. ‘’Another Qatari shipyard – Balhembar – was founded only two years ago and very recently the company Gais Speargun opened for business. QIBS has been at the very forefront of facilitating successful deals between Qatari companies and international agencies, which is in line with Qatar’s National Vision 2030 to position the country as a world class tourism hub for business, leisure, culture, education and sport. In short, Qatar can be said to be rediscovering its ancient maritime traditions, ’’Mikati concluded. Bengt Schultz, Chief Operating Office - Saleh Al Hamad Al Mana Automobiles said: ‘Saleh Al Hamad Al Mana the exclusive agent of Infiniti in Qatar is proud to support for a second year in a row Qatar International Boat Show 2015, a premier yachting event matching Infiniti’s premium positioning, luxury and cutting edge technology through innovative thinking.We believe that the close co-operation of both entities, Saleh Al Hamad Al Mana and QIBS, will enable the further enhancement of the already successful world class boat show event reflecting the spirit of the new resurgent Qatar” Awn Zureikat, COO Luxury Division, Ali Bin Ali said: ‘ Since the inception of the boat show Ali Bin Ali has as been a proud sponsor and integral supporter of the this evolving international event. As a renowned luxury brand in the Middle East, our organization continues to seek out innovative event and initiatives like QIBS. ‘We are delighted once again to be an exhibitor at the Qatar International Boat Show. We have supported this show since its inception, not only because Qatar is a primary market for Gulf Craft, but also because of the unique opportunities this show delivers to its visitors, to the region and to the industry in general” said Erwin Bamps, CEO of Gulf Craft, UAE-based yacht and boat builder and one of the top 10 superyacht shipyards in the world. Sponsorship requests for the Show have also risen, with strong support being shown from a number of high profile companies and government entities. To name a few: Lusail City, Qatari Diar, Mourjan Marinas – the venue for QIBS; Qatar Tourism Authority; Ministry of Interior and Coast Guard – Infiniti – the official car, Boggi – the Official Fashion Partner; Ulysse Nardin – the official watch; Al Mannai Marine – the gold sponsor ; Gulf Craft – as the Lanyard sponsor; N-DSQ ( Nakilat Damen Shipyards Qatar ) – as the catalogue sponsor, Qatar Airways – as the official carrier, Peters & May as the official Freight Forwarder for the Show; NBJ Group as the official on-site handler, Qvision as the audiovisual partner, ‘World of Yachts and Boats’ – the Show’s official magazine; ‘Sur La Terre’ – the Show’s lifestyle partner; UBER as the official transport provider; Nano Technologies – as the Technology partner; Marina Mall as the official Mall; 8:56 – Creative Agency – Official International PR Partner; Brand Expression as the Branding partner; Quintessentially Lifestyel as the official concierge partner; Yachts XL as the official videography partner; Fotoarabia as the photography partner; Chrystal Caviar as the awards partner; and supported by Business France and supported by the Arab Marine Industries Association. QIBS ensures that guests get a genuine feel for the marine lifestyle while exploring the offerings of over 90 companies. Even the most discerning boating enthusiasts will find the utilitarian craft or luxury vessel they have always wanted.